Houston First is geared towards providing more visible, accessible and responsive policing. 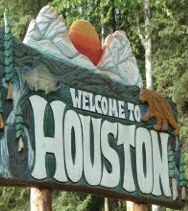 Houston First is a campaign with the emphasis on providing an even higher quality of service to local people. as improving public access and the service provided to victims and witnesses. • First for ethics – The first and ultimately most important step is to have the council set high ethical standards and then hold people accountable. Tough questions must be asked. Audits must be conducted. Investigations must be instituted where wrongs are suspected. A clear message needs to be sent that ethical behavior on the part of all police employees is a main priority of the organization. Without this first step, everything that follows will quickly be compromised. Ethical standards announced must be praised and supported by the chief/administration, or will become the latest fatality in the fight between right and wrong. to local policing areas as well as improving partnership, working and community engagement. The drive to improve the quality of service will embrace the whole way in which Houston Police Department goes about its business. An officer deals with his/her ‘first contact’ with members of the public. The way we deal with our calls is crucial. If callers are satisfied with the way they are dealt with, then their confidence in the service will be boosted. We also need to ensure we provide feedback, where appropriate, to people who contact us and be more aware of how the public wants to get in touch with us, particularly with increasing use of electronic methods such as e-mail. We have to adapt policing to suit People’s lifestyles. Overall, we want Houston First to deliver the kind of service local people want and expect. We also want Houston First to ensure that our policing service meets the needs of everyone we come into contact with – whether they are victims, witnesses, young or old and recognize the way to achieve this is by having a continuous improvement in the service we offer. We believe Houston First can provide a solid foundation for sustaining a quality policing service for local people in the future. b) Those resources used efficiently and provide the best value for money. Capital investments necessary to police Houston each year and present this to the city council. With Houston First initiative, we can make our city the safest in the valley. Police service. Everyone who works for Houston Police Department can take pride in the part they will play in making Houston First a success. Top priorities include preventing and solving more crimes, such as house burglary, criminal mischief, domestic violence, drug and alcohol related crimes, etc. while making people feel safe through measures such as increasing high-visibility patrols. The initiative is launched with the aim of not only making local people safe, but making them feel safe too. The Police Authority works with the administration and proposes budgets to the city council to deliver what local people want. We are fortunate to live in such a wonderful area that support and recognize the need for a local police department. To continue having this support, we need to continue improving in the service the police department offers.